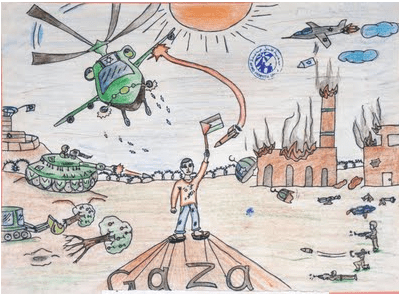 The Fake Child Artists of Gaza? The quality of the artwork does not correspond to the age of the child who drew the picture. But no age was listed in the displayed photos. Experts all agree that the artwork looks as though it was created by adults. But the names of those experts are not included in the post. These drawings were created during art therapy sessions. But no art therapist(s) are named as the facilitator. The artwork is not signed, which is a strange thing for a child to do. Maybe. But, there maybe a cultural reason for this, or another reason – ie: the art therapist asked that they not sign their artwork for confidentiality purposes. After all, this exhibit is a traveling one. Does anyone have any information on the art therapist(s) involved in this exhibit? I wrote an email to CJPME, the organization hosting this event, asking for more information. To Elder of Ziyon: Your claims maybe true. But, you need to post your sources when making such claims to add credibility to what you’re saying. Who are the experts you consulted? Why not consult an art therapist? How did you find out the age of the child who created the artwork? Aren’t we all children inside anyway? Why would it be a lie to have ‘child-like’ drawings done by people who are over 18 not relate to their inner child? Why can’t we discuss what some of the individual pictures might mean rather than have a debate on the validity of the whole show? yes, of course its political, yes it’s propaganda but when the validity of art is questioned because of how it is sold then whats the point? Is a landscape painting by Hitler less of a landscape painting than by a little old lady no one ever heard of? Why not let the art speak for itself? 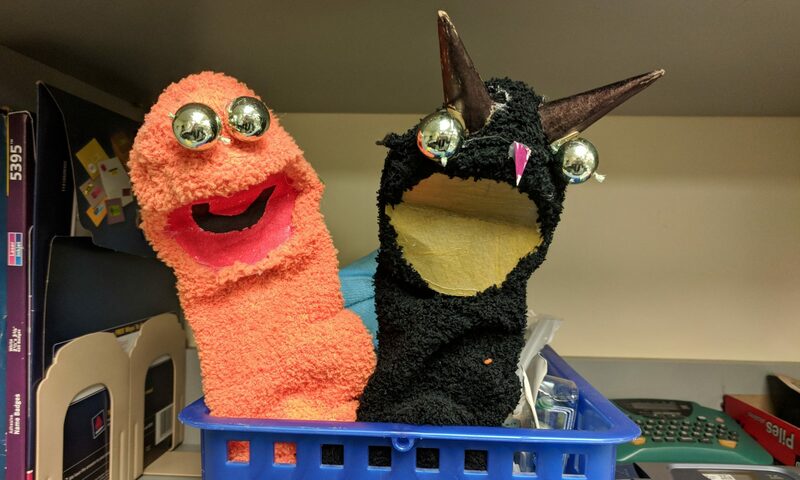 We are the ones who need art therapy here!!! I disagree, Daz. If an adult drew something and misrepresented himself as a child and on top of it placed their artwork in an exhibit for the purpose of spreading propaganda – that is wrong. It’s not about the artwork itself being less valid, it’s about telling the truth about who the artist is and the purpose of said artwork and the exhibit. And, when the facts are exposed I want them to be exposed in a credible way. A landscape painting indeed is a landscape painting no matter who painted it, but if you say the painting is done by Picasso when really it was done by a little old lady, that’s called fraud. Why wouldn’t that be the case for the Gaza drawings?